The Lodge accommodates a maximum of 18 guests in 12 single rooms and 3 double rooms. Guest rooms are private with shared bathrooms. 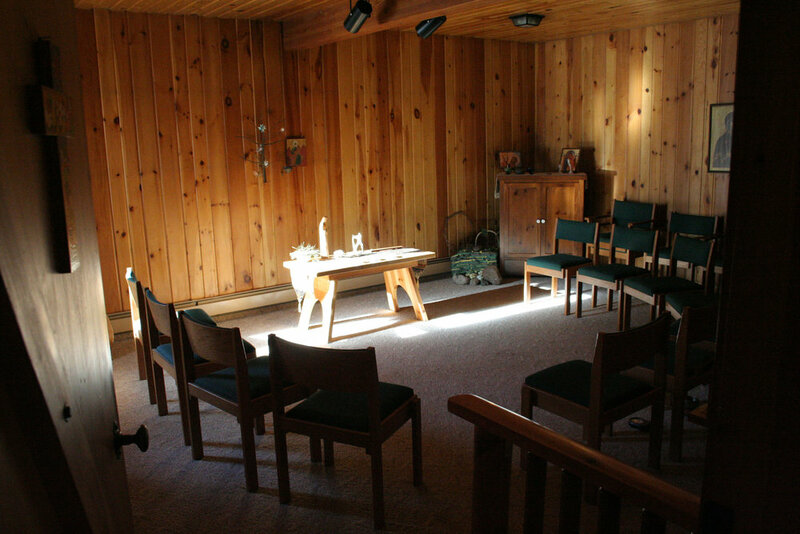 The lodge also has a meditation room, library, bookshop, large and small meeting areas, two fireplaces, a screened-in porch, and other spaces conducive to rest and reflection. Linens and towels are provided.